I’ve been straightening my hair for many years now and I’m used to the routine. Wash my hair, dry it using a hair dryer, then section it out and work through it, piece by piece. I’ve also tried lots of different hair straighteners, including many types of materials, from ceramic, to tourmaline and even titanium. Some hair straighteners are better on my hair than others but generally, I achieve a similar result with a decent quality brand, as long as I’m careful and patient. However, as with most hair tools, it aggravates me that to use hair straighteners, I have to wash and dry my hair first. It’s not always convenient and often I’m in a hurry to get to work or to go out for the evening. I heard about wet to dry straighteners and I toyed with the idea of trying them out for a while. After all, they had to be greatly time saving, eliminating the need to dry hair before styling, so I did want to give a pair a go! I was given a pair as a gift and since then, I’ve never looked back. I’ve tried quite a few different types of wet to dry hair straighteners and in this piece I review each one so you can make an informed choice when you buy your own set. What is a Wet to Dry Hair Straightener? How Does a Wet to Dry Hair Straightener Prevent Damage to Wet Hair? Is It Possible To Damage My Hair Using a Wet to Dry Hair Straightener? Which hair types work best? Wet to dry hair straighteners look exactly like regular hair straighteners except they dry hair while straightening. However, while they are called wet to dry, you cannot use them on soaking wet hair and need to towel-dry hair so it is lightly damp first. 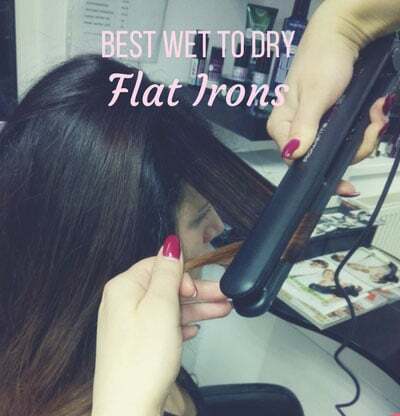 The biggest difference between a regular straightener and a wet to dry version is that the latter usually uses steam technology to dry hair, eliminating excess water. Steam is a good way to dry out hair as it doesn’t strip hair of moisture but as with any hair tool, you should take care using these as too high temperatures can still burn or damage hair. As a tip, it’s best to make sure your hair is approximately 80% dry first, so you might have to use a blow-dryer on your hair for a few minutes before you use a wet to dry hair straightener. I’m sure that you know, using a regular hair straightener on wet hair will seriously damage hair. It will automatically burn it, boil it and could even break it off. That’s because these types of hair straighteners are not designed for wet hair and only for use on dry hair. The wet to dry hair straighteners might look the same but their technology is different. Most of them are manufactured with a venting system. This system carefully removes water from damp hair. That water is then converted into steam and released back through the plates. This steam helps to dry and straighten hair without damaging it. With any heated hair tool you should still take precautions. So, check the temperature you use is the right one for your hair type. Keep the temperature low if you have fine or hair that is prone to damage, gently raise the temperature for thicker and healthy hair. Always use a high quality heat protecting spray on your hair before administering any heat. In short, the answer to this question is yes. Any heated hair tool can damage hair if not used properly. Firstly, always read the instructions. Every hair tool is different and has different methods of use. Then, make sure your hair is not soaking wet. Your hair needs to be approximately 80% dry before use. Take care to use a heat protecting spray before using your wet to dry hair straightener and as mentioned before, use the correct temperature for your hair type. There is no particular hair type but size matters! If you have long, thick hair, you should try and buy a wet to dry hair straightener with wide enough plates to cope with the amount of hair you have. So, 1 or 1.5” is pretty standard. For longer or thicker hair, try and find one with 2” plates. The same applies to short hair or fine hair. You don’t need very wide plates, so opt for 0.5” to 1” wide plates. Titanium plates are better for longer, thicker hair as they cope best with high heat. Temperature control (you want to be able to adjust the temperature setting to your hair type). Extra-long cord (especially useful for long hair). Auto-shut off (prevents the hair tool from over-heating or damaging surfaces). Dual voltage (if you travel to foreign countries). LCD display (useful to keep an eye on the temperature). Dry hair to 80% dry. Comb hair through using a wide-tooth comb. Choose the right temperature for your hair type. Point the vented holes away from your scalp and hands, or you might burn yourself with steam. Don’t keep going over the same section of hair. This could damage it. This wet-to-dry straightening iron is so slim and lightweight that I fell in love on sight! Despite its slender appearance it’s great for any hair, even very thick hair (like mine). The plates have nano technology and are made out of titanium so you get a very sleek and shiny appearance and it works from wet! I would advise using a very good conditioner first, then apply a heat spray to protect your hair. Wind your hair into sections and start at the back. The plates deliver excellent results, heat up very fast and hair doesn’t frizz even if you sit in a sauna! I love how straight and soft my hair goes after using these. The CROC, which is shaped just like a crocodile, delivers great results. Made out of titanium and with salon quality, it delivers heat safely. With one-pass styling, there’s no need to go over sections and it dries and straightens very quickly. The CROC boasts negative ion technology and infrared rays so hair looks silky, healthy and shiny. There are 18 different temperatures to choose from, so there’s something for every hair type and as it’s a carefully crafted piece of technology, your hair will notice the difference. Finally, the 30 minute auto-shut off feature prevents surface damage or overheating. The InStyler Wet to Dry Rotating Iron measures 1 and ¼ inches so it is suitable for most hair lengths (except very long). It features a titanium barrel with curved tourmaline and ceramic floating plates. This means that the product conducts heat very well. What I love about this one is that it dries hair and you can choose to curl or straighten hair so it has dual purpose. Hair looks beautifully shiny and voluminous, although I still have to go over the root area with my blow-dryer. Additionally, there are multiple heat settings; the top heat goes up to 410 degrees Fahrenheit (although I wouldn’t recommend using this temperature on any hair type). It also heats up within just 30 seconds and dries hair fast. Finally, the auto-shut off feature gives peace of mind that the hair tool won’t overheat. The Conair Tourmaline and Ceramic Wet to Dry Flat Iron is a good product for those with longer and thicker hair. This option offers plenty of excellent features such as infrared energy which keeps the hair looking fabulously shiny. This product also comes with 25 different heat settings so there’s something for every hair type. The product boasts an LED display so you can easily see the temperature settings and the dual voltage is excellent for you if you’re a frequent traveller. Works fast too, a good, all-round, inexpensive wet to dry straightener. 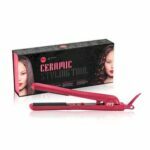 The Corioliss Wet to Dry Ceramic Straightener features tourmaline and ceramic floating plates along with ionic technology to banish frizz and flyaway hair. The product works using a channel with vent system, evaporating water from the hair and locking in moisture so hair stays shiny and healthy looking. Hair is straightened out quickly and looks entirely shiny although it’s difficult to achieve volume without blow drying the root area first. The Remington Wet 2 Straight Ceramic Hair Straightener is ideal for those with shorter or finer hair as the plates are slimmer, at just 1 inch wide. Made out of ceramic, it’s a good heat conductor. 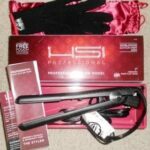 The straightener delivers frizz-free, straight and shiny hair and with high heat settings (420 degrees Fahrenheit) it has the capability to straighten even the toughest hair type. Heat up is just 30 seconds and finally, the swivel cord allows you to reach difficult areas at the back of your head.